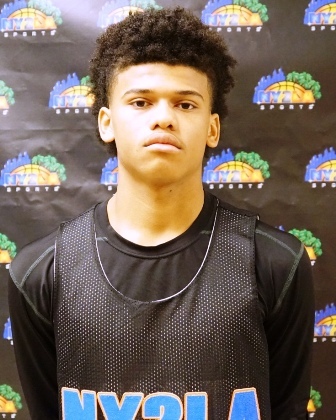 A pair of 2019 players, SG Nate Ortiz of and F Cody Mitchell St. Charles East, started the holiday break with a non-conference affair against highly regarded Waukegan led by 2019 SF Bryant Brown. All three players were exceptional in this contest. STE Ortiz exploded in the 1st half with 26 point showing his much improved perimeter stroke and his ability to get to the rim. He was backed up by hard playing Mitchell who’s turning into a do it all type guy scoring around the rim and popping out to the perimeter and knocking down 3s. Mitchell finished this contest with 18 points but is was Bryant Brown from Waukegan who had the last word with 32 points and the W. Brown also picked up a few offers right after this contest from Florida Southern and Winona State. Both Nate Ortiz and Bryant Brown continued performing at a high level with 1st team honors at the Wheeling Holiday tourney (Brown) and Hinsdale Holiday tourney (Ortiz) respectively. Brown and Waukegan next non-conference contest is against St. Viator’s Kent State commit 2019 SG Jeremiah Hernandez and Wright State commit PG Trey Calvin on January 12th at DePaul Prep Shootout. Ortiz and Mitchell will be matched up against 2019 Jack McDonald and Mitch Mascari of Geneva on Feb 1st. The Prairie Farms Holiday tourney in Collinsville featured some solid talent once again with the likes of 2019 PG Terrion Murdix, 2019 Chris Burnell, and 2020 SG Sincere Parker. Murdix, the Chicago State commit, was the tourney MVP after a 35 point performance against Rockford East. 2019 Combo Chris Burnell and 2020 SG Sincere Parker were solid as well and both gained 1st team tourney honors. Also, making 1st team tourney honors 2019 SF Terrance Hargrove, a St. Louis University commit, whose East St. Louis squad came away with 5th place for the event. 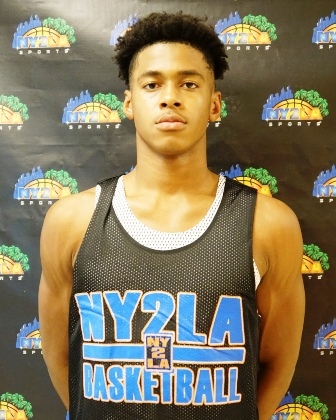 Hargrove who averaged about 20 points per contest at this event was an absolute beast around the rim finishing with big time dunks and grabbing every rebound. 2019 SG Isaac Stanback of Homewood Flossmoor, 6’4 is a beast whose best performance came in a contest against Ray J Dennis and Oswego East with 23 points and 15 rebounds. Stanback’s frame and versatility creates match-up problems for any small guards that cannot match his physicality on the basketball court. 2020 G Devin Davis of Westinghouse proved he’s a big time scorer again averaging 21 points a game including a monster 30 point game against Oswego East. 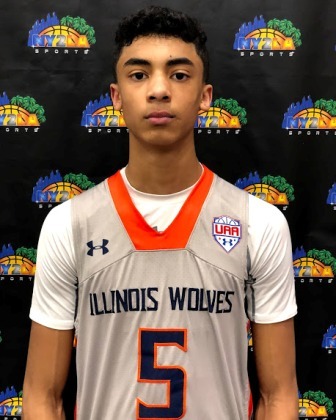 I didn’t get a chance to spend a lot of time at Jack Tosh Holiday Tourney at York but I did get a look at highly regarded 2021 SF Max Christie who had performances of 40 points against Lemont and 22 points against Staag who was led by 2019 Martin Macenis with 20 points. Christie was doubled and at times tripled teamed managed to still put up 22 points in a hard fought contest. An assistant coach from Duke stopped in to check out Christie whose stock continues to rise on a national level. 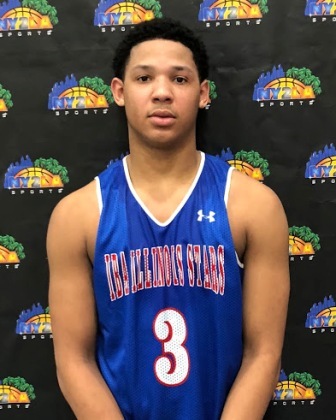 Also, putting up big time performances at York was 2021 PF Chris Hodges of Schaumburg who had a big time 38 point game against TF South. Hodges was dominant in the painted area scoring at will against anyone he was matched up with from TF South. Did not make the it out to Wheeling’s Holiday Tourney but I was able to check out their Tourney MVP and champions 2019 PG Jack McDonald of Geneva this past Friday and sharp shooter Mitch Mascari. Very easy to see why this Geneva team is undefeated and how they came away with the Wheeling Holiday Tourney Championship, McDonald (28 points) is crafty, quick, has the ability to get to the rim and score regardless of the obstacles in his way, he absolutely runs the show. Mascari (23 points) is a lights out shooter that sealed the game winner in OT against Wheaton North and 2019 SF Deng Reng who finished with 22 points, Reng has recently seen his stock rise with offers from UAB and Purdue Northwest. Last but not least for the Holiday season I was able to checkout a couple guys at the 1st Annual Basketball Madness event. On hand was the MVP from the Big Dipper Holiday tourney at Rich South, 2020 SG Adam Miller and Morgan Park fresh off their Holiday tourney championship. Miller was still cooking while taking on Brown commit 2019 SF Daniel Friday of University of Detroit Jesuit. Miller paced Morgan Park with 18 points but 2020 PG Marcus Watson Jr. led all scorers with 26 points. 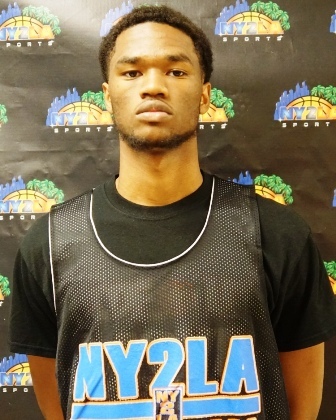 The rising junior can score in bunches and he did so slashing and blowing by defenders while getting to the rim. Friday led Detroit Jesuit with 20 points and 9 rebounds. It was a great up and down contest with Morgan Park getting the win by double figures. Also, catching our eye during the event was 2019 Combo Guard Aaron Strong of Farragut who led his squad past Thornwood with a team high 20 points. Strong is very crafty, physical guard that finish around the rim and knock shots down from the perimeter.